This device is a great item for pet owners that want to make sure their pooch or kitty's regular feeding routine isn't disrupted when the family leaves the house for a day trip or even a short overnight jaunt. This is a timed feeder with six food compartments to deliver wet food, dry food, or even treats -- whenever you want! This great feeder has so many useful features. 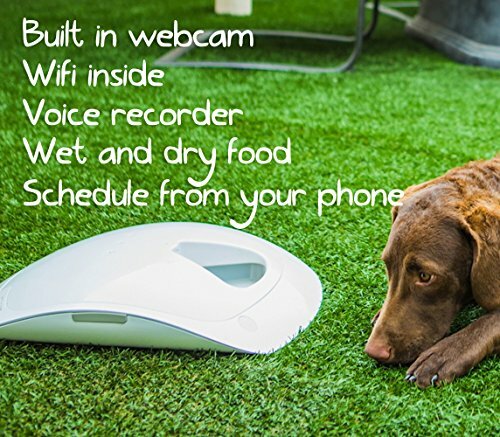 It has a built-in camera so you can watch your cat as she eats and make sure she gets to the feeder for mealtime. This is a smart device that will quickly connect to your home network for web access -- you can monitor everything from your smartphone! You also schedule mealtimes using your smartphone, pc, or tablet. This gives you maximum flexibility in when your kitty will be fed! The feeder also has a built-in voice recorder so you can call your pet to the feeder when its time to open up one of the six compartments. 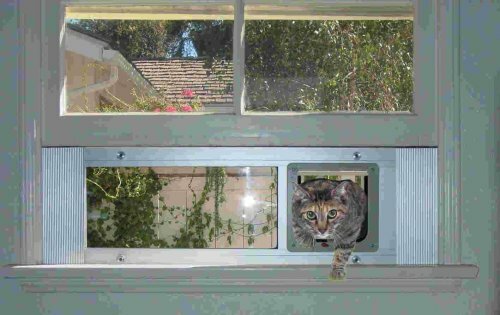 Kitty doesn't have to wait by the bowl for something to happen -- she just has to hear you calling her in for mealtime! 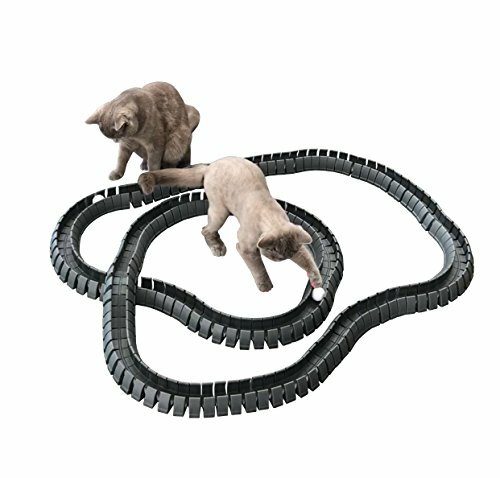 A device like this is perfect for when you need to have a quick getaway and want to leave your cat without having to hassle with a sitter for such a short time. Pets with eating disorders or sensitive stomachs can also benefit from this device and give pet parents a break from giving frequent small meals to cats that require such a routine. Note that a device like this is only going to work in single pet households, unless you have a way to separate your kitties and use two or more Feed and Go Feeders. The feeder runs on power but loss of WiFi connection will not interfere with scheduled feedings. Check out the great reviews pet owners have given this high-tech pet feeder and see for yourself how useful and fun it can be!